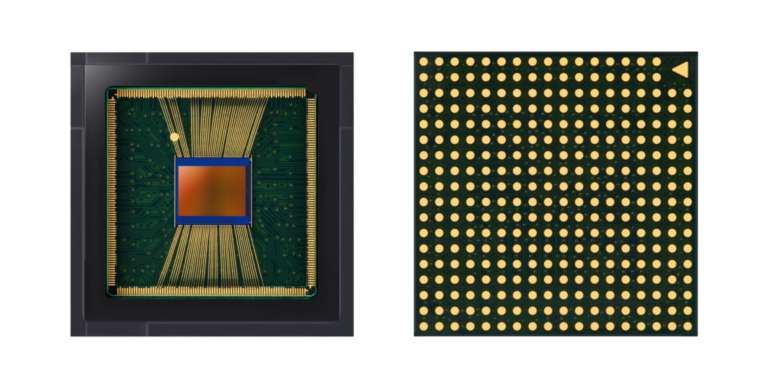 With 2019’s smartphones set to make the shift from notched screens to what many have started to refer to as ‘hole-punch’ displays, it’s no surprise that Samsung has revealed what it describes as an “ultra-slim,” 20-megapixel ISOCELL 3T2 image sensor. The new 3T2 sensor, which Samsung designed specifically with hole-punch displays in mind, features 0.8μm-sized pixels. The company claims that its new sensor is “the industry’s most compact image sensor,” measuring in at approximately 5.1mm (1/3.4-inches) diagonally. “In order to support smartphones with the latest display features such as the ‘hole-in display’ or ‘notch design,’ front-facing image sensors need to minimize their size while being able to capture high-quality images,” writes Samsung in a recent press releas about the 3T2. Additionally, Samsung notes that the sensor will be used in mid-range smartphones. Further, the company says that the 3T2 is capable of being used to power front and rear-facing cameras. “Compared to a 13-megapixel sensor with the same module height, the 20-megapixel 3T2 retains 60-percent higher effective resolution at 10x digital zoom that presents clearer and more accurate results,” writes Samsung. Given that almost all of Samsung’s 2019 smartphones are expected to feature the company’s ‘Infinity-O’ cutout display, it makes sense for the South Korean tech giant to release a camera sensor designed specifically to accommodate this new type of display. The company also states that its ‘Tetracell technology,’ which allows four sensor pixels to work as one, lets the 3T2 snap brighter and sharper pictures under low-light conditions. When powering a rear camera, Samsung says that the 3T2 adopts an RGB colour filter array rather than the company ‘Tetracell’ technology. Overall, Samsung says its new sensor will be able to capture and absorb more light, resulting in improved colour representation. Though we likely won’t see the 3T2 featured in any of Samsung’s mid-range handsets anytime soon, it will be interesting to see how the image sensor performs when compared to the technology featured in the company’s high-end smartphones.